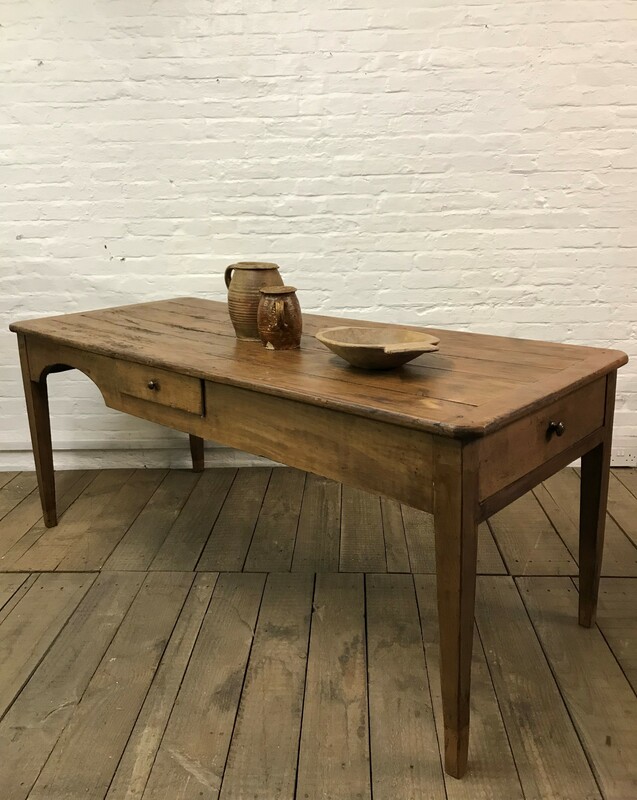 Stunning rustic antique French country farmhouse kitchen dining table. 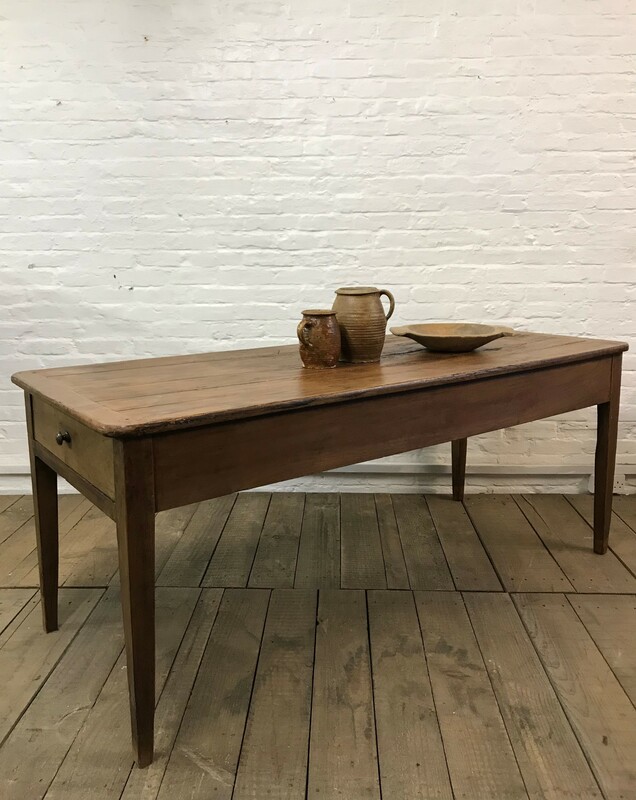 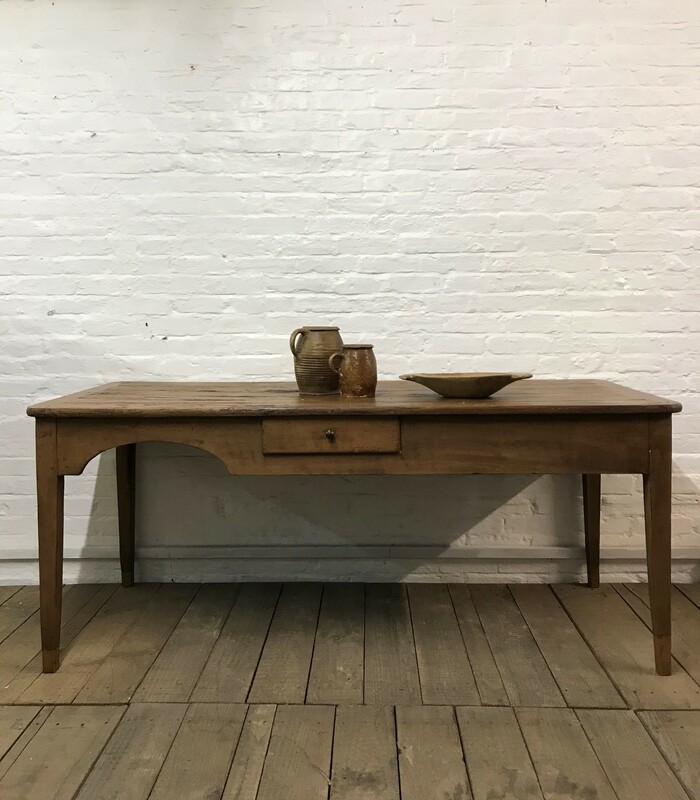 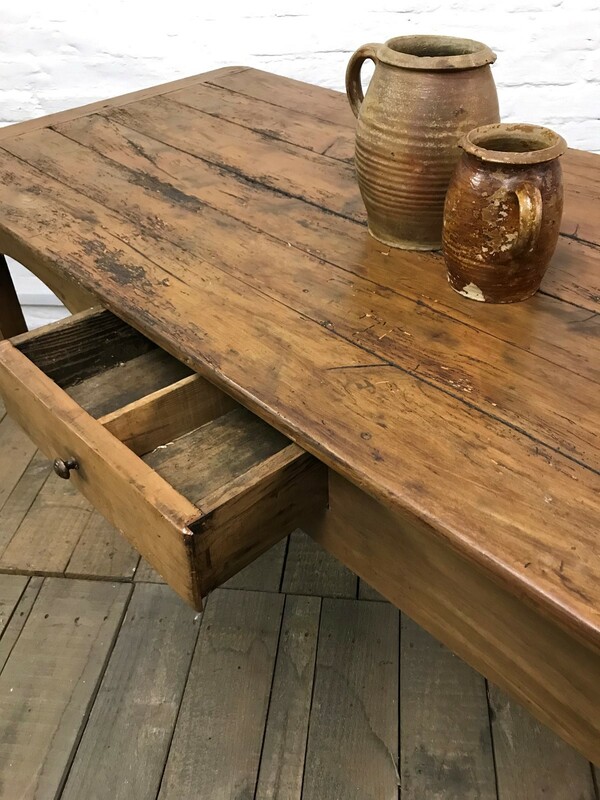 This 19th century French farmhouse table has a superb, characterful appearance with a lovely rustic plank top with traditional peg legs and a unique curved side with two drawers, one to the side and a larger drawer to one end. 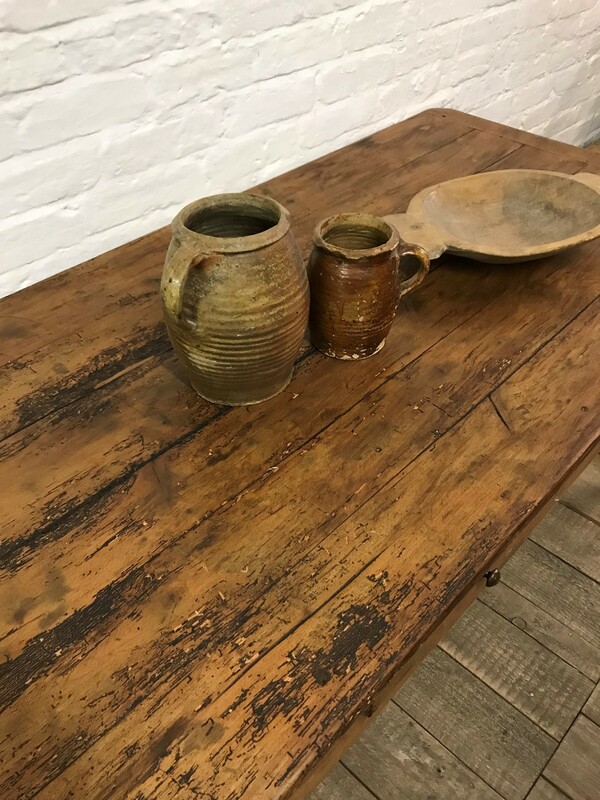 It would make a superb impression in a kitchen/dining space in a home, restaurant, cafe or bar etc. 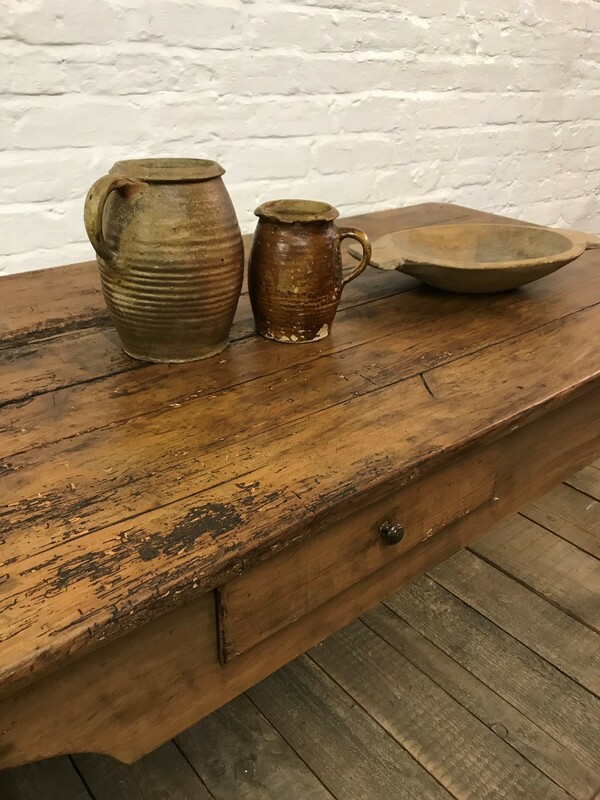 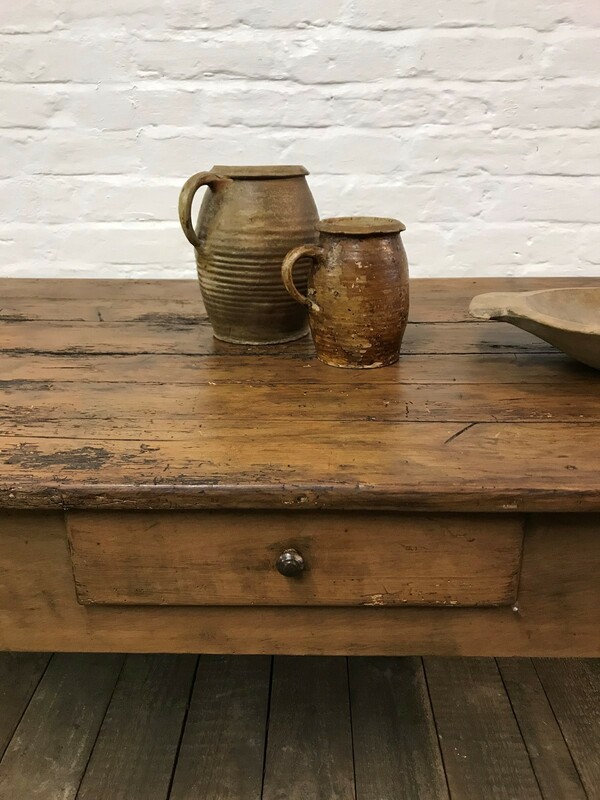 Due to its age it has signs of wear and it may have some signs of old woodworm but all our items are treated, overall it's in good antique condition with a rustic farmhouse appearance and is solid and sturdy .